Everett Baby Grand, 5', 1933, Original Finish, sold! A charming little piano, this American made Everett from 1933 is in splendid condition! Meticulously maintained for its entire lifetime, this piano has a lovely original finish, with original decals, including on the soundboard. Many beautiful details in the cabinet and legs are on display in this little gem. The piano has a charming sound, with good intonation. Original ivory key tops are in fabulous condition! 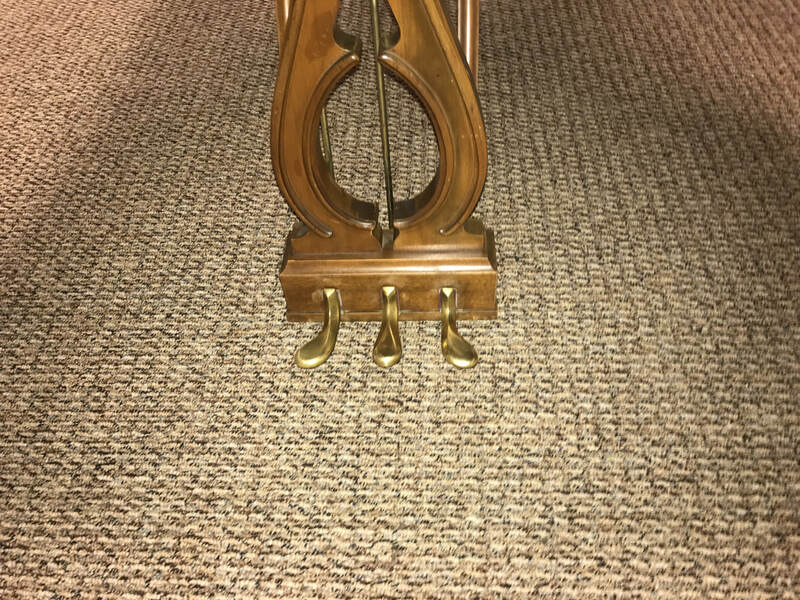 Just look at the pedal lyre! A good first piano, or second piano at a budget price! Come try it out!